Dr. Ernesto Lee published the results of his S.M.A.R.T. Minimally Invasive Bone Grafting research in the prestigious International Journal of Periodontics and Restorative Dentistry. This landmark study included 60 sites, 5 clinical applications, and human histology proof of concept. 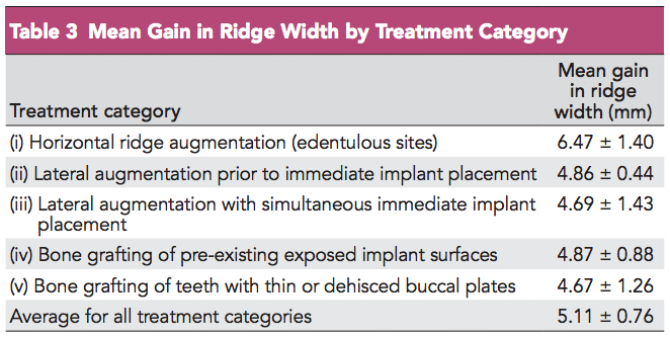 The 30-month results demonstrate consistently superior outcomes, with fewer complications, pain and swelling. Dr. Ernesto Lee started the work leading to the S.M.A.R.T. method in 2012, and its development continues to this day. Refinements and innovations in surgical techniques, biomaterials, and associated devices are continuously evolving; having resulted in 3 patent pending applications thus far. Development of the S.M.A.R.T. Surgical Kit alone required close to 100 prototypes. We want to make S.M.A.R.T. more predictable and efficient, for the benefit of our patients and colleagues alike. Dr. Ernesto Lee continues researching the healing phenomena associated with the S.M.A.R.T. bone grafts and will be publishing these results in the near future. Additionally he is continuously refining the technique to improve efficiency, predictability and developing new applications. Dr. Ernesto Lee's research allows for superior bone grafting procedures.